Colorado wildflowers bloom along the trail to Mirror Lake and Lone Eagle Peak. 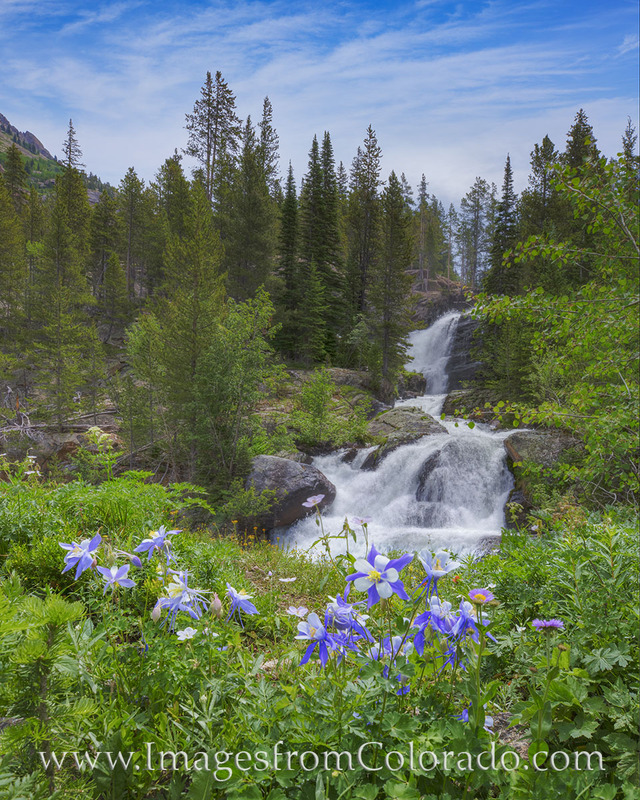 This patch of columbine, Colorado's state wildflower, was exactly 5 miles from the trailhead and made for a nice place to pause, take in the beauty of the Indian Peaks wilderness, and then keep on trekking. Photo © copyright by Rob Greebon.